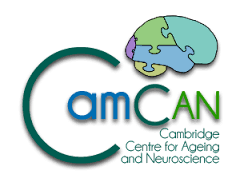 MRC Cognition and Brain Sciences Unit students are full members of the Cambridge Graduate Programme in Cognitive and Brain Sciences, which has been jointly established by the Unit and the Departments of Psychology and Psychiatry. This consists of a weekly series of theoretical seminars presented by senior researchers from the MRC CBU and from the University. Lectures will be held on Mondays 4.00- 5.30pm and the venue is now split between MRC CBU and the Department of Psychology. MRC CBU seminars are held in the West Wing Lecture Theatre at the MRC Cognition and Brain Sciences Unit, University of Cambridge, 15 Chaucer Road, Cambridge, CB2 7EF or in the Department of Psychology lectures on the Downing Site in central Cambridge. please check the venue carefully. All seminars are held during Michaelmas and Lent terms only. These are compulsory for MRC CBU first year graduate students. Please note – this is a teaching course exclusively for first-year graduate students from the MRC CBU and the University Depts. of Psychology & Psychiatry. If you are not in these groups but would like to attend please contact the organiser. Note that there is no parking available on site at Chaucer Road. Please do not park illegally on the road outside – in particular do not park on the verges or blocking the footpaths. Cycle racks are available. Details of the Seminar Programme will be updated on this page and any changes in the programme, as well as any other information of interest, will be communicated via e-mail – it is therefore important that you e-mail the seminar administrator to ensure that your name is on the “Camgrads+” mailing list. All public talks are publicised on the University talks website, which also contains an archive of older lectures.